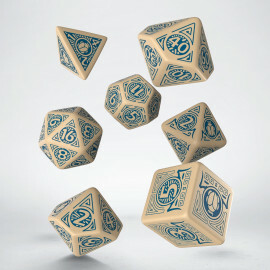 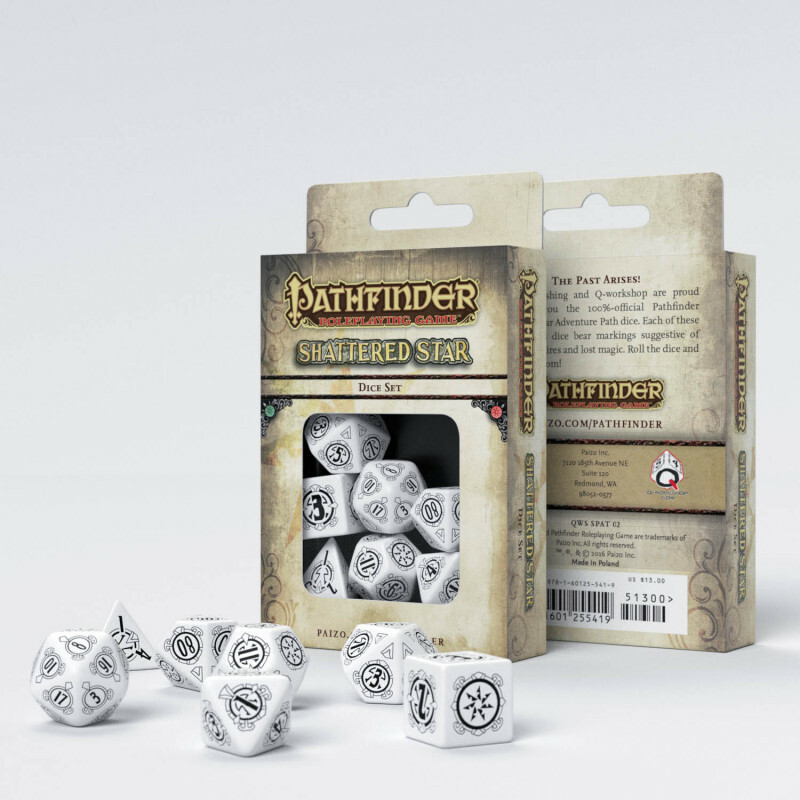 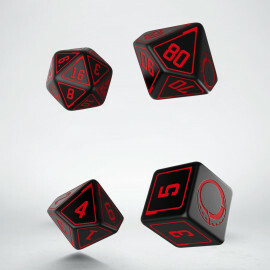 Paizo Publishing and Q-workshop are proud to bring you the 100%-official Pathfinder: Shattered Star dice! Pathfinder Shattered Star Dice Set is another joint and incredibly successful Q WORKSHOP and Paizo Inc. project. In this campaign, the team of heroes is tasked, as usual, with a quest: how to save Golarion and find a shattered artifact of unearthly power. 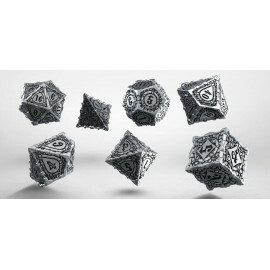 It is a return to the sources of RPG when good heroes explored innumerable undergrounds, caverns, palaces, and abandoned fortresses, where an enemy could wait in each subsequent chamber, and in the heart of a whole location, they could count on the fight with the next big boss. Only it is not a rough dungeon-crawler, but an Adventure Path with lots of twists and striking missions. For this, you need great, clear and readable dice. So we designed white dice with black, engraved ornaments. They are contrasting and very useful. It was supposed to be dice for numerous throws, resistant to abrasion, good rolling and usually great throwing. They are dice for old school players who know that sometimes it is worth returning to the times when there were dragons, giants, and golems in the dungeons, and the heroes had to draw weapons nearly every minute and then be ready to save the world. 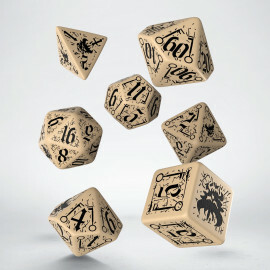 This time the players will be armed with wonderful, beautiful sets of dice. 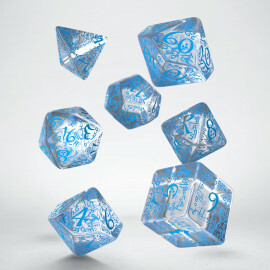 That was our goal. The sunken crystal city of Xin, though covered today by the Deep Shadows - The Dead Heart of Xin.